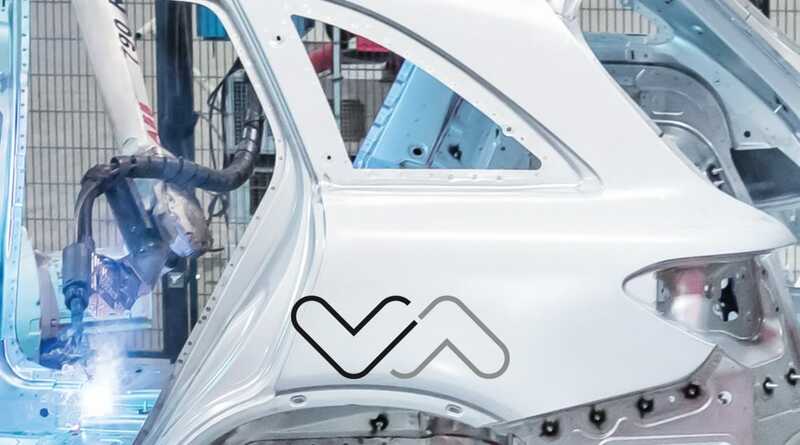 Chairman of the Board, Valmet Automotive Inc.
A Finnish company that has built cars in the northeast of Europe for decades, close to the sea – a company long known by automotive experts has now stepped into the limelight of the automotive community. Since Valmet Automotive bought a mid-sized engineering service provider in Germany and got well-known Chinese battery cell manufacturer CATL as a minority shareholder, the company is developing into something new. What that is all about is explained by Mr. Jarkko Sairanen, Chairman of the Board, Valmet Automotive Group, in an interview. Mr. Sairanen, Valmet Automotive is turning 50 this year: a time to change, since the industry is changing? Yes, we are clearly on the move, but we will stay what we have been for such a long time – a trusted partner for OEMs, delivering what we promise, and putting customers first, whatever it takes. If you work at the level of complete vehicle manufacturing as we do, you are seen as a strategic partner by the automotive OEMs, and we live up to it day by day. 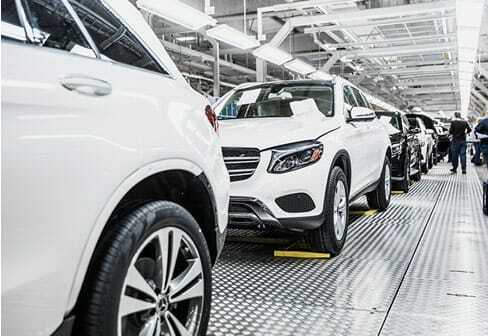 This is proven by our strong history of building cars, in particular premium cars, for Saab, Porsche, and now-adays Daimler with the A-Class and GLC in production at our Uusikaupunki plant. 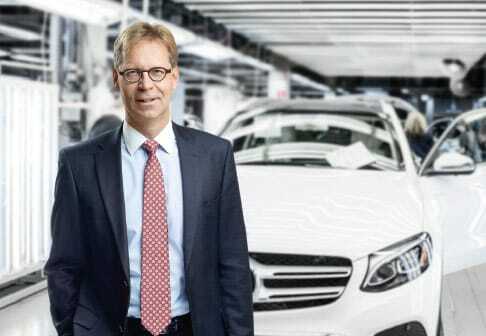 And one year ago, in early 2017, we received the supplier award by Mercedes-Benz Cars, being named as their best partner company in 2016. Engineering and manufacturing of electric vehicles: we are becoming the fast lane to future vehicles, without a doubt! Going forward, we are preparing for and further investing in the future of the automotive and mobility industry, which will be an electric future for sure, for us as well. We are now positioned as an upstream partner for electric vehicles. We cover the complete value chain, from vehicle engineering to high-voltage battery system supply to vehicle manufacturing as a service. This is an almost unique offering, and means that whatever idea a customer comes up, we can deliver, from vehicle concept to large scale series production of the vehicle. And this is true even for new mobility vehicles, like robo-taxis or people movers. Developing a company requires a lot of invest – who are the owners of Valmet Automotive, and what role do they play? The majority of the company is owned by two Finnish investors, Tesi, an investment company of the Finnish state, and Pontos, a Finnish private equity company. Both have invested in the growth of the company, and they provide us with the financial stability needed for the large-scale vehicle manufacturing we do. Over the last few years Valmet Automotive has become a national success story in Finland and our plant in Uusikaupunki has become a job machine, greatly increasing vehicle production and export figures and recruiting almost 3,000 new employees in three years. Since 2017 we have an additional owner as minority shareholder, the company CATL. They needed a partner for Europe, in particular when it comes to complete battery solutions for European vehicles. As we know these customers and their requirements well, this is a perfect match that benefits our European customers, Valmet Automotive, and CATL. Our customers are delighted by the new capabilities we offer, because the number of vehicle projects and the production units planned, both plug-in and all-electric, is really taking off now. CATL provides our customers and us with cutting-edge cell technology, including Chinese cells for Chinese markets. And Valmet Automotive offers complete battery packs with our system integration and applications expertise. Based on our vehicle manufacturing business and our cabriolet roof system supplier business, we master all the backbone processes of a capable Tier-1 supplier, like sourcing, supply chain, quality, change management, etc., all to European OEM standards. With CATL on board, how is the business model set up – do you exclusively work with CATL? Here’s a clear statement: we are still independent from CATL on a project basis, meaning that we join forces when it is beneficial for our customers and they ask for it. And in cases where it is not, both companies can still operate on their own. But our current projects and our lead pipeline as a Tier-1 battery supplier show that this offer of development and large-scale production of battery packs is more than compelling to the OEMs, for car, van, truck and bus applications. The CATL collaboration gives us an edge over the competition without doubt! With support from CATL we are on our way to extending our capabilities in battery pack development and manufacturing. And what not a lot of people know is that we are already a battery system Tier-1 in Finland, where we have developed and are delivering complete packs for non-automotive applications – on a small production scale, to be sure, but with our own Battery Management System too. We have a good team in Finland for battery concepts, electronics and software. In addition, we are building up the team in Germany too, with some very experienced battery people who joined over the last 12 months. Looking into the future, how should the company look 5 years from now? We will continue to grow our electric vehicle capabilities in all areas. Our vision is to become the leading supplier of battery electric vehicles, from single service projects to turnkey vehicle projects. We are expanding our presence as an international company in all key markets. Yet we will keep and live our spirit of customer dedication, speed, and flexibility in all that we do – because in the era of digitalization this is needed more than ever. Valmet Automotive is already supplying high-voltage battery solutions – now, with CATL as a minority shareholder, this creates a lot of additional benefits for our customers. We will definitely continue to produce cars in Uusikaupunki, since this gives us the credibility of a true manufacturer. The OEMs plan their production 15 years ahead, and we are part of these plans. Nevertheless, we might also have some of the new OEMs in our customer portfolio, even Mobility Service Providers. Therefore, we are ramping up additional production capacity over the next years. And roof systems, like today for Mini, Bentley, or Porsche Targa, will still be an exciting business for us. “Engineering services” is the keyword: Looking at the very challenging market environment at the moment, what makes you feel confident that you can be successful? Valmet Automotive has always been an engineering-driven company. Why? We have always needed to come up with lean solutions, with more flexibility and requiring less investment than at our customers. We know how to build cars, and we do all the manufacturing engineering on our own. When it comes to product engineering, we have recently strengthened our capabilities with the acquisition of a mid-sized automotive engineering service provider in Germany – we can now count on a very experienced team of almost 1,000 engineers in Finland and Germany. We know well the changing customer demands and the comprehensive sourcing strategies of our customers in engineering services. Our strategy is this: We don’t compete on scale or scope – we are positioned as an electric vehicle engineering specialist, including all services up to complete vehicle engineering. We build on two major ingredients for leading engineering services. One is our strong manufacturing know-how, which we already apply to prototyping and body-in-white solutions on small series manufacturing in Germany. The other is our track record on electric vehicles and drivetrains, since we have already produced cars like the Fisker Karma and the Think City, including development and supply of battery packs with our Battery Management System. You are talking about batteries and EVs – will that be at the core of the future for Valmet Automotive? We believe in electric vehicles. Our customers are investing heavily into the ramp-up of large and new portfolios. We are a Tier-1 supplier for complex systems, and we have had electric vehicles in series production for years. As for the batteries, we are already supplying complete packs and CATL gives us a head start on batteries for all kinds of vehicles, from cars to vans and busses, even trucks. We have access to cells and modules that are homologated for Europe. Starting large-scale battery module and pack assembly will be the natural next step for us, and we are moving fast – this is now “electrifying” the whole company! Our key success factor has always been our people, both in engineering and on the shop floor. We are a company on the move, and everyone can contribute to further shaping the company’s business towards this electrifying future. And we are not held back by hierarchies: we have a lean, agile organization with a lot of personal freedom. We are focused on expanding our capabilities in Electric Vehicles. Therefore we invest in and build on our people to deliver on this promise in all areas and projects. In my opinion, Valmet Automotive today is really a fast lane to future vehicles, for our customers and for our employees: from battery and electric drivetrain engineering to battery system supply all the way to complete vehicle engineering and manufacturing. With this expertise, we are able to address the future of mobility, like autonomous cars and people movers. Isn’t that exciting? What is your history with the company? I joined the Valmet Automotive Board of Directors 2010, when I was working as President of Elektrobit Automotive, which was recently sold to Continental. We have an experienced Board and it works great as a team – so I really enjoy. We have recently put a lot of effort in transforming our strategy and we are confident we are spot on in the right track. …and what cars do you drive? We have BMW X5 as our family “working horse” as we visit often our summer house or go skiing in the country side. During the summer months I love to take my 911S into the race track with the helmet on but roof down. The newest member of the family follows the Valmet Automotive strategy: It is namely a Golf GTE plug-in hybrid. To be very honest, it is clearly the favorite of my wife and kids.